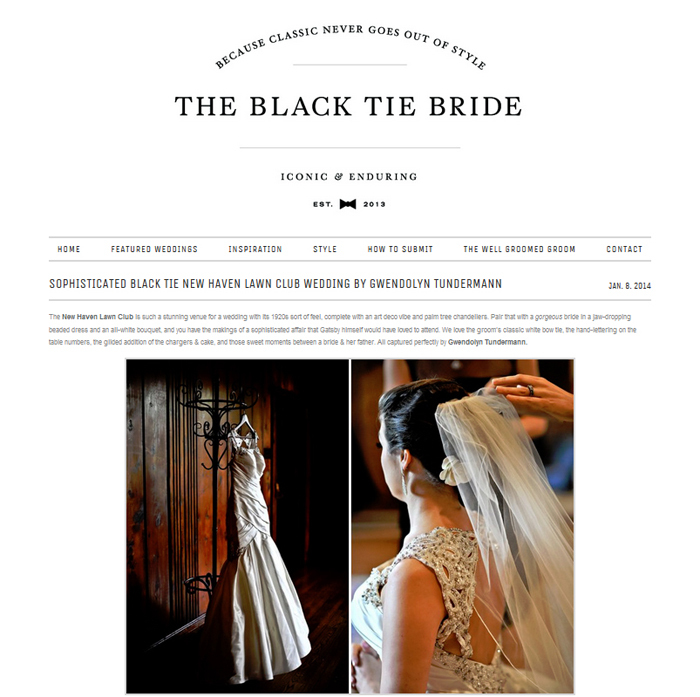 It’s been a busy summer over here at GTP, and one of the highlights for us has been seeing our sweet couple Alexis & Eike featured on Southern California Bride! 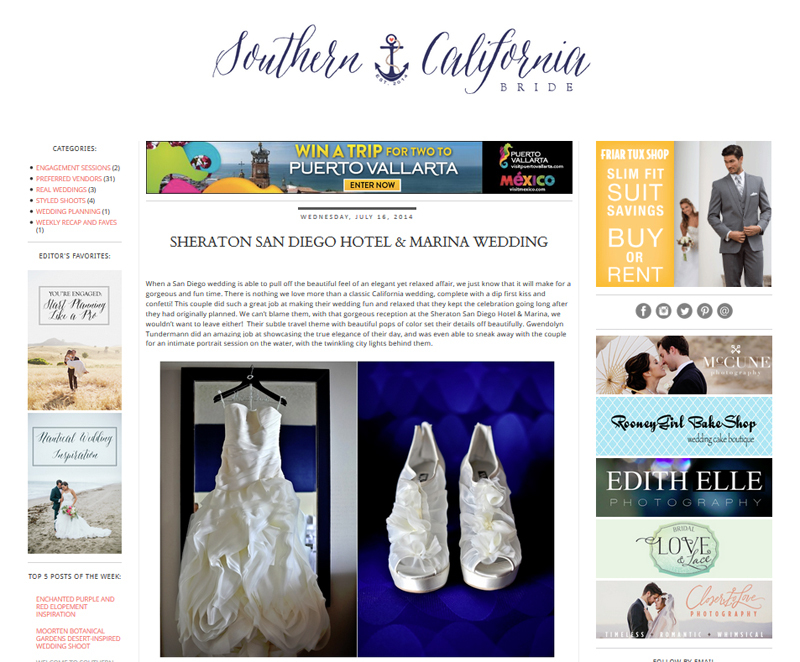 Their wedding at the Sheraton Harbor Island was a day that we’ll always hold close to our hearts. We love these guys and their families, so every time we see their photos it makes us smile. 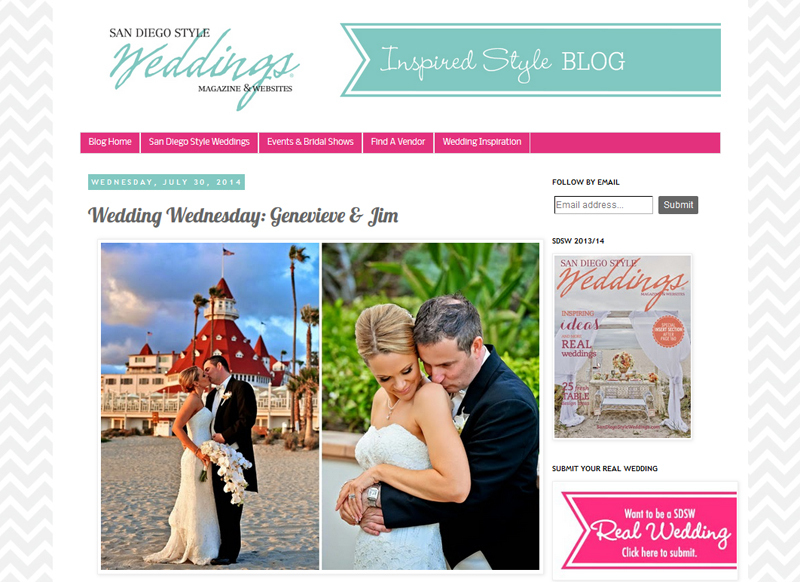 We are so excited that their wedding was one of the first featured on the new Southern California Bride site, which is just full of wedding pretties! 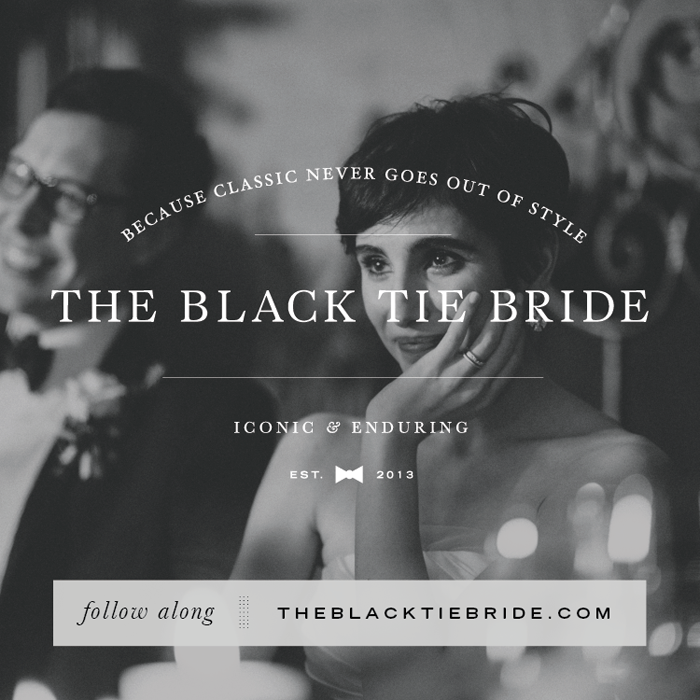 Speaking of pretties, make sure to check out the lovely details from Alexis & Eike’s wedding! 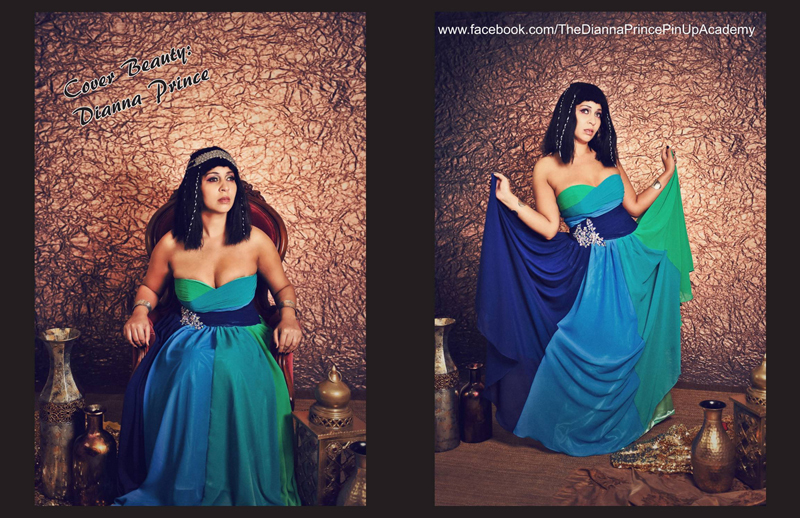 Back in March, I partnered up with pinup model Dianna Prince on a photoshoot inspired by one of the greatest beauties of all time – Cleopatra! The first time Dianna and I worked together, I kept saying how I saw her as Cleopatra, and she said she had been wanting to do a Cleopatra inspired shoot! 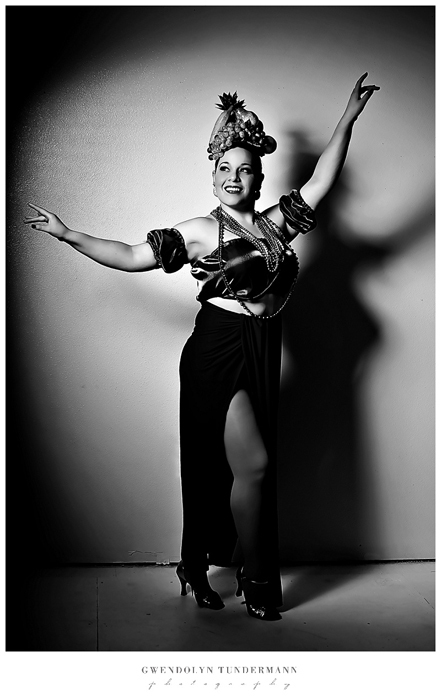 So we put the plans into motion, and with the help of Make Up By G Dianna Prince channeled the beauty and strength of the Queen of the Nile! And channel it she did! 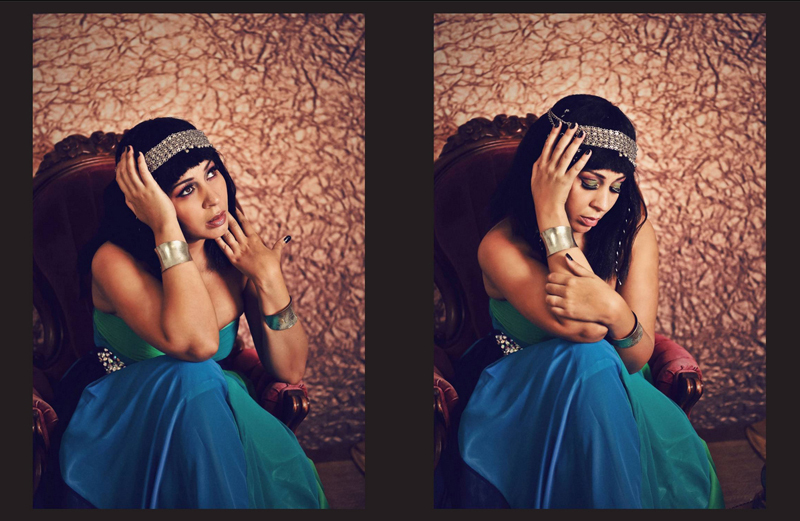 For that day, she WAS Cleopatra! 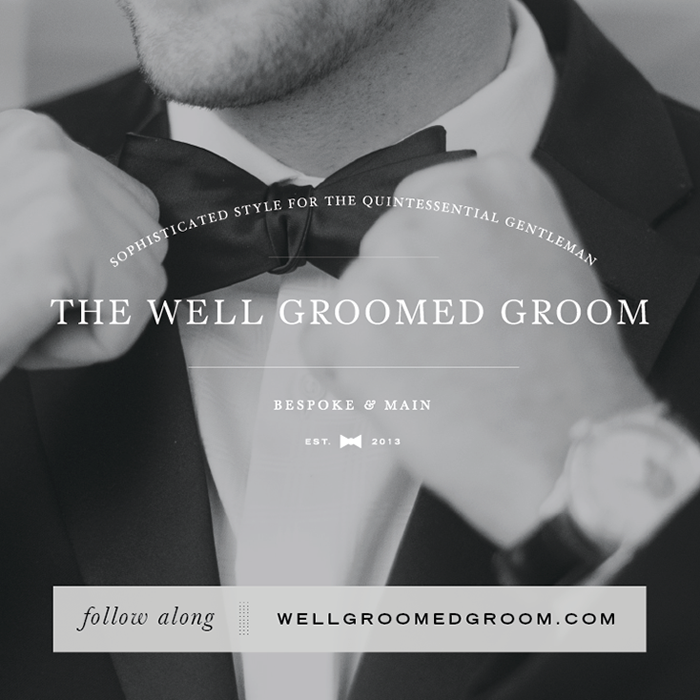 The shoot was so much fun, and we created some of my favorite images ever. 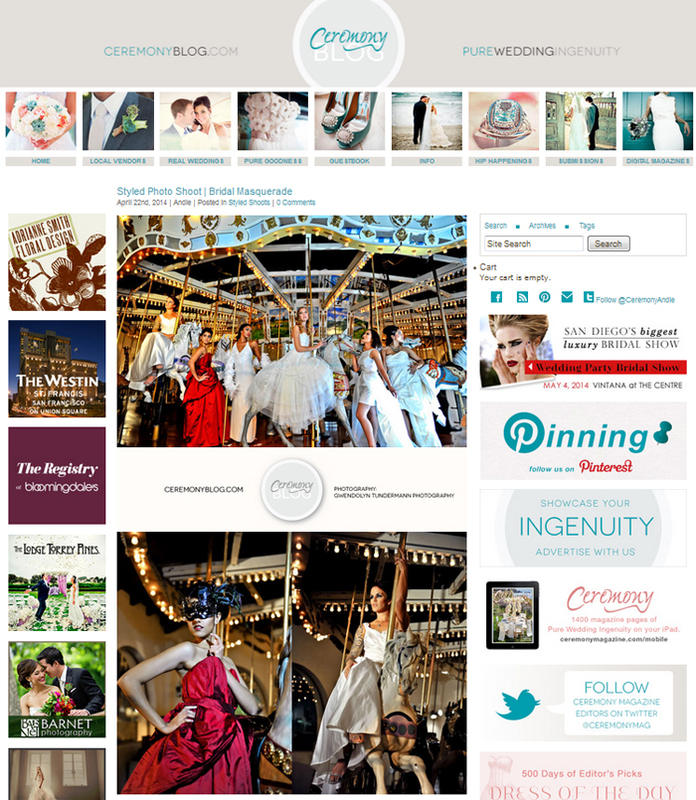 I’ve been dying to share this shoot, but we had to keep it secret because it was accepted for a magazine cover! 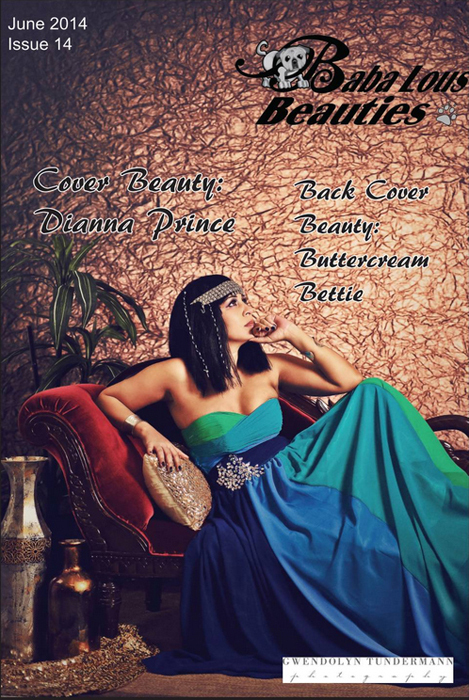 Well, now I am excited to share some of the first images from our shoot, as one of Dianna’s looks is featured in the June 2014 issue of Baba Lous Beauties! Not only was it featured… Dianna is also the cover model! They chose my favorite image from the whole shoot! I can’t wait to share the full shoot, but we are still waiting on the second look to be featured in another publication. But I hope you enjoy this first look at this beautiful shoot! Thanks so much to Dianna Prince for all of your work in planning this shoot and to Make Up By G for creating a flawless look! 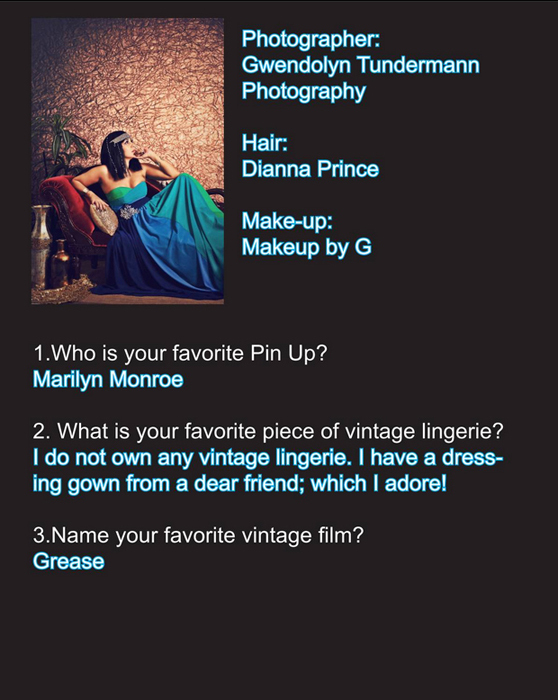 Our recent shoot with pinup model Dianna Prince was featured in the March issue of Peepshow Pinup Magazine! 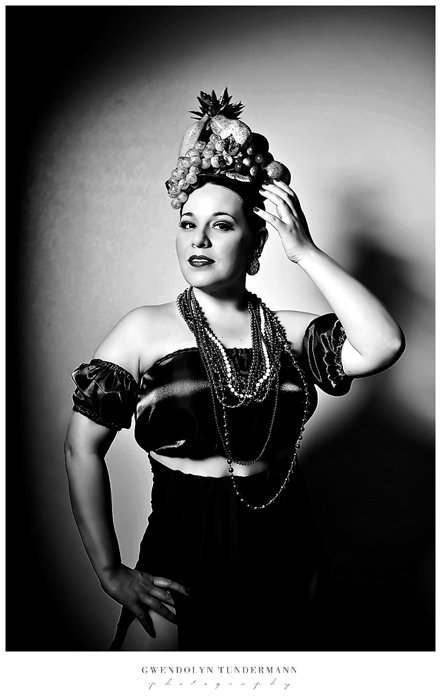 Pinup photography is a new genre for me, but it’s so much fun! I enjoyed working with Dianna, who is just a lovely and inspiring model. She may also be the hardest working model I have ever met! She is always shooting and working on new projects! I’m excited to shoot again with her latest this month on an amazing project! Earlier this month, Brianna & Donnie’s beautiful wedding at the Jacksonville Golf and Country Club was featured in the “I Do, I Do” section of the Florida Times-Union! 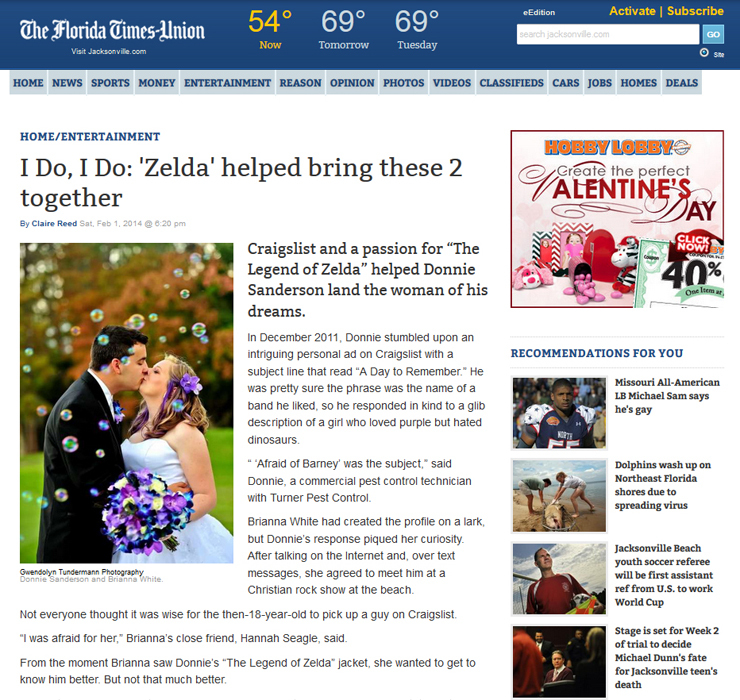 Their fun and quirky Zelda-themed wedding caught the attention of the writer of the column, and it certainly was one of the cutest themes we’ve ever seen at a wedding! Congrats again to Brianna & Donnie!